Having eschewed the Shimizu branch of the S-Pulse Dream House chain, me and a mate made our way up to the wonderfully named Cafe Snuggery to watch this evening's face off with Kyoto. The owner is a huge football and S-Pulse fan, so if he's not at the game himself, he broadcasts away games on his plasma screen. The food and drink is top notch, so even when there's no game to watch, I can't recommend lunch or dinner there highly enough. Anyway, about the game. After the Kyoto comeback from 3-1 down last month, which had culminated in the smash and grab at the death, I ready to accept vengeance by any means. 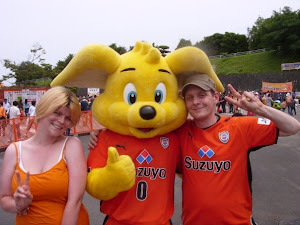 That stoppage time goal by Lee put a dampener on an entire evening's drinking, felt like a loss, and will go down as two points lost (not unlike Aurelio's 88th minute penalty miss against Omiya last season). 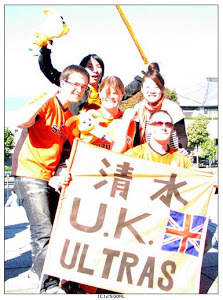 Well tonight, Kyoto fans will probably be feeling much like we were after Lee's equaliser. Substitute Fujimoto's excellent freekick came off the back of a dubious decision in our favour, as the gangling Johnsen went to ground in perfect Jungo territory. After we took the lead, we were hanging on for grim life as Kyoto brought more than one excellent save out of Kaito. Again, he was the difference between three points and none. Around the 88th minute, both Jungo and Honda conspired to miss an incredible chance to put the game beyond doubt, and so it was went into stoppage time throwing everything we behind the ball to keep hold of all three points. We'd let a handful of other great opportunities slip by over the course of the 90 minutes, not least a one on one which I would have put money on Okazaki putting away. 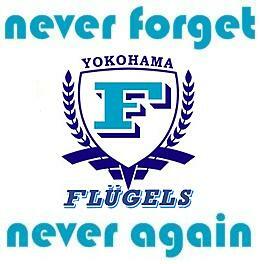 So Kyoto, with memories of the 3-3, were not going to put off by a mere one goal deficit. They twice nearly had it in the net right at the end, and when the ref finally blew the whistle, a win somehow felt like a draw. It's our fourth away win in a row, and while it was far from pretty at the end, we had spells of fluid, attacking football, and on another day Okachan would have put that one away. Maybe these three points make up for some of the wins we've let slip this year. It puts us up to 5th, joint on points with Alibrex and Gamba, and with Antlers and Frontale both losing, we close the gap a little on the top two.